Weather in the Ozarks is full of surprises. We are definitely at Mother Nature’s mercy when it comes to ice, snow, thunderstorms and tornadoes. When storms happen, your cooperative will respond immediately to repair damage and restore power. Usually it doesn’t take long to get the power back on, but severe storms can cause widespread damage, and some repairs may take longer. During an outage you can help the cooperative by providing several things to the dispatcher. You can help assess the damage quicker and restore power sooner if you have your account number ready. The account number can tell the dispatcher exactly where the outage is. Sometimes a member may have more than one account listed under the same name, so knowing the account number is very helpful. If you do not know the account number, then give the name that the account is under in the exact way if appears on the bill. You can also give the phone number of the outage location. However, if your phone number has changed, and you have not updated your number, it will be of little use. Always be sure to alert NAEC when your phone number or mailing address changes. Finally, check with your neighbors. Knowing whether their power is out is helpful to the dispatcher also. We want to remind you that during an outage you may be directed to our automated outage answering service. You will be directed to the system only if all dispatchers are busy answering outage calls. Assemble an emergency kit. Have these items on hand and make sure they can last for at least 72 hours: a flashlight; candles and matches; batteries; a portable battery-powered radio; at least 1 gallon of water per person per day; non-perishable foods such as canned goods and granola bars; a manual can opener; an extra set of clothes; durable shoes; blankets; items to help pass the time, such as a deck of cards; a first aid kit that includes prescription drugs as needed; a whistle; and supplies such as duct tape and plastic so you can build a “shelter in place” if necessary. 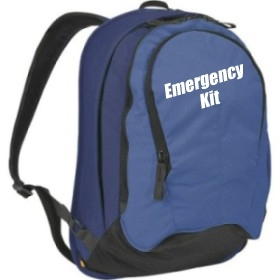 You can make smaller versions of this kit for your car or office and stock it with practical items for either setting. Take special steps if you have special needs. Do you rely on life-support equipment or other power-dependent equipment to maintain your health? If so, register with your utility so your home will be treated as a top priority in the event of a power outage. You also should put a plan in place, possibly involving an emergency standby generator for your home or an arrangement to stay at a health-care facility that has backup power. If you personally don’t have special needs but can think of someone in your area who might, offer your assistance. Think about your elderly, disabled or non-English-speaking neighbors. Keep your refrigerated food safe. If the power goes out, try not to open your refrigerator or freezer doors so you don’t lose cold air unnecessarily. The contents of a full fridge should keep for about six hours; the contents of a full freezer should last for as long as two days. Don’t taste foods to see whether they’re OK. Instead, follow these rules: Throw away any food items that become warmer than 41 degrees. And if you’re in doubt about a food item, throw it out. Avoid shock and electrocution. Never do any of these things: operate a generator in rainy or wet conditions; touch a generator with wet hands; use electrical appliances that have gotten wet; touch exposed cables or electrical wires in your home; get near or touch downed or sagging power lines outside; or engage in an extremely dangerous practice known as “backfeeding,” which involves connecting a generator to your home’s wiring by plugging the generator into a wall outlet without the use of an appropriate power transfer switch.